It’s a system, not a single tactic. 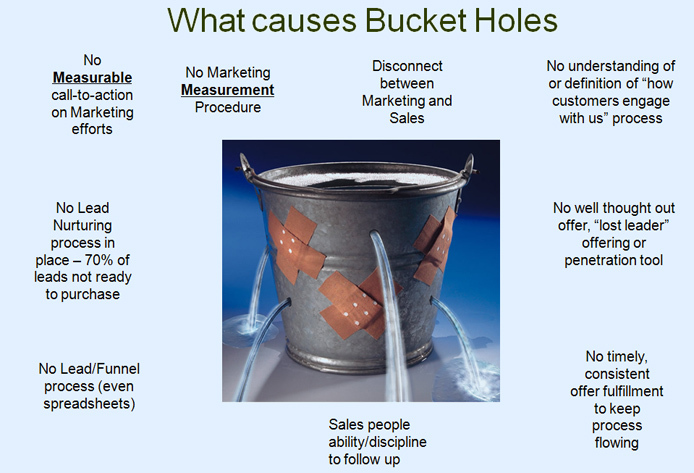 We all want to believe that there is a “silver bullet” solution to our marketing/sales woes. There simply isn’t. Every company has certain symptoms that they feel and ideas of specific tactics that will help. The answer in all cases is a combination of tactics and tools that best fit the client’s specific situations. Marketing without a “call to action” won’t provide leads. Leads without follow up are wasted resources. The list goes on and on, but within the first meeting with clients, TBG begins to identify productive marketing and sales interactivity and by the second we have a plan. Call 616 634 3498 to learn more in depth information about the TBG Sarketing Work Sessions™ program.